How good is mother! For a child, mother is the only solace. “Mummy, Mummy, I’m hungry”, he / she will cry out. Mother will somehow console him / her. Mother’s love for children is beyond calculation and description. There are mothers who feed their children joyfully, while they themselves starve literally. How nice it is to have a mother! She can always be approached for anything and everything. My trust is in my mother. God who created everything deserves indeed all praise and adoration. He created Adam, the first man as the crown of creation, and from him Eve, the first woman. He settled them in the Garden of Eden, which was modelled in the style of heavenly Paradise. The first parents, by their disobedience, forfeited this earthly Paradise, which was given to them as a free gift. Mary is the one whom God created in the model of this lost Paradise. Mary re-established the virtues, holiness and the celestial beauty which Eve, the first woman had forfeited. The Son of God, who is in fact, the Sun of justice and eternal Sun, took flesh from Mary and dwelt in her. Praise, glory and respect to the Omnipotent Son of God, forever and ever. Amen. Mary was the daughter of SS. Anna and Joachim. She was always obedient to her parents. She led a very simple life. From the very early years, she decided to remain always a virgin. Virginity was her most cherished dream. “.... the angel Gabriel was sent from God to a city of Galilee named Nazareth, to a virgin betrothed to a man whose name was Joseph, of the house of David, and the virgin’s name was Mary” (Lk 1, 26-27). “Hail, full of grace, the Lord is with you” (Lk 1, 28). “Do not be afraid, Mary, for you have found favour with God. And behold, you will conceive in your womb and bear a Son, and you shall call his name Jesus” (Lk 1, 30-31). “He will be great, and will be called the Son of the Most High; and the Lord God will give to him the throne of his father David, and he will reign over the house of Jacob for ever; and of his Kingdom there will be no end” (Lk 1, 32-33). “How can this be, since I have no husband” (Lk 1, 34). “The Holy Spirit will come upon you, and the power of the Most High will over shadow you; therefore the child to be born (of you) will be called holy, the Son of God” (Lk 1,35). “And behold, your kinswoman Elizabeth in her old age has also conceived a Son; and this is the sixth month with her who was called barren. For with God nothing will be impossible” (Lk 1, 36-37). “Behold, I am the handmaid of the Lord; let it be to me according to your word” (Lk 1, 38). 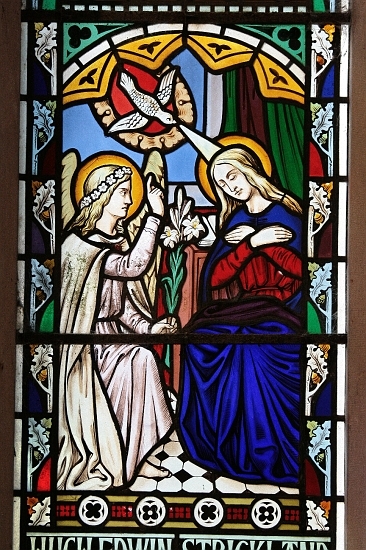 "At the very moment Mary gave her consent to God’s design, the Holy Spirit descended upon her and God the Son, taking flesh from her started to dwell in her womb. 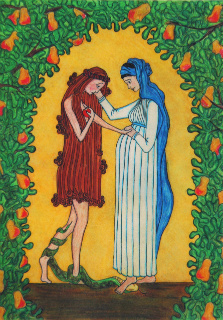 Thus Mary became the mother of Jesus." And Mary remained with her (Elizabeth) about three months, and returned to her home” (Lk 1,56). “In those days a decree went out from Caesar Augustus that all the world should be enrolled” (Lk 2, 1). 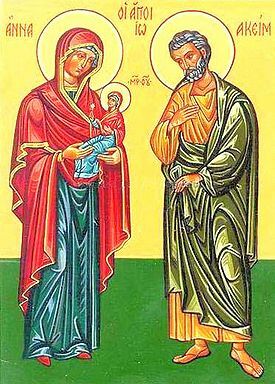 “And Joseph also went up from Galilee, from the city of Nazareth, to Judea, to the city of David, which is called Bethlehem, because he was of the house and lineage of David, to be enrolled with Mary, his Spouse, who was with child” (Lk 2, 4-5). “And while they were there (Bethlehem), the time came for her to be delivered. And she gave birth to her first-born son and wrapped him in swaddling cloths, and laid him in a manger, because there was no place for them in the inn” (Lk 2, 6-7). “Be not afraid; for behold, I bring you good news of a great joy which will come to all the people; for to you is born this day in the city of David a Saviour, who is Christ the Lord. And this will be a sign for you: you will find a babe wrapped in swaddling cloths and lying in a manger” (Lk 2, 1O-12). “Glory to God in the highest and on earth, peace and good hope to men of all times, for ever and ever” (Order of the Raza). "When this hymn of angels is repeated thrice in the beginning of Holy Qurbana and all other liturgical celebrations, we firmly declare again and again our faith in the mystery of Incarnation and the role of Jesus of Nazareth in human redemption." 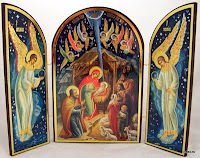 We come across a series of miracles in relation to the Nativity of Jesus. God becoming man itself is the greatest miracle! How can we explain it ? Impossible! "Jesus is the name of the divine person who subjected himself to history, taking for himself also the human nature. Thus Jesus has only one person the divine person, but two natures, the divine and human natures. 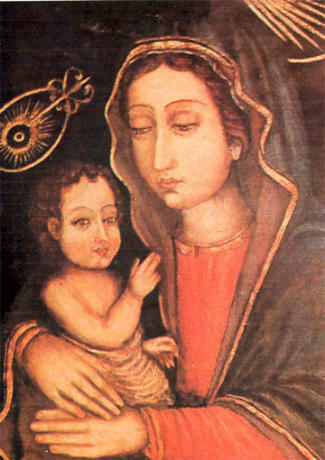 His mother is Holy Virgin Mary. Since Mary had perpetually consecrated herself with the vow of virginity, she bore Jesus in her womb by the power of the Holy Spirit and not by the help of man. Hence, Jesus has no father in this world. But Mary had a husband who was JUST (Mt 1, 19). He is Mar Joseph and he co-operated with the mystery of Incarnation as the Foster Father of Jesus." “Where is he who has been born King of the Jews? For we have seen his star in the East, and have come to worship him” (Mt 2, 2). “And you, O! Bethlehem, the land of Judah, are by no means least among the rulers of Judah; for from you shall come a ruler who will govern my people Israel” (Mt 2,6). As Herod directed, the three Kings set out for Bethlehem. The star that appeared to them in the East, showed them the way. They went into the house, saw Jesus with Mary his mother, adored him, opened their treasures and offered him frankincense, gold and myrrh. "According to the fathers of the Church, frankincense symbolizes the divinity of Jesus, while myrrh his humanity and gold his kingship." 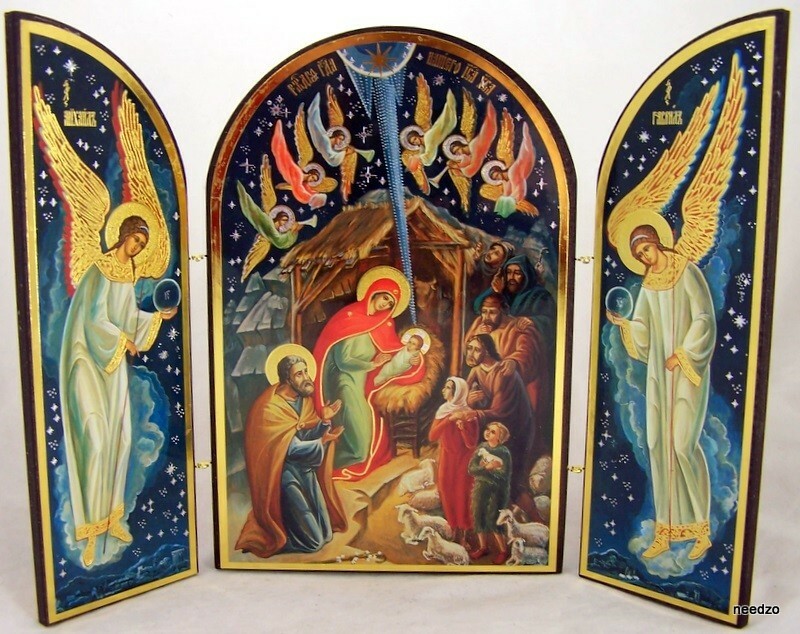 As the angel of God had directed, the three kings returned to their country through a different route; Joseph and Mary, however, fled to Egypt with Jesus. Herod the power monger, in order to do away with the child, born to be the King of Jews, ordered to kill all male children below the age of two in Bethlehem and its neighbourhood (Mt 2, 16). The Feast of these Innocents massacred for Christ is celebrated every year as Children’s Day on the 28th of December by Mar Thomma Nazranees. “And Jesus increased in wisdom and in stature, and in favour with God and man” (Lk 2,52). Thus Jesus came to be called Nazarene (Mt 2, 23) in fulfilment of the prophecies. Holy Virgin Mary is the mother of Jesus. Hence the pictures of “Mary with Jesus” are very dear to Mar Thomma Nazranees and such pictures are venerated in all their houses. "In every house of the Mar Thomma Nazranees (St. Thomas Christians), there must be the Mar Thomma Sliba (St. Thomas Cross) at the centre of the eastern wall of the place where the family members gather together for prayer; on its right side the picture of’ Sacred Heart of Jesus or any type of Jesus’ image is placed; the left side is for the picture of “Mary with Jesus”. The picture of St. Thomas the Apostle also must be placed near to that." “Woman, behold, your son!” (Jn 19, 26). Then he said to his dear disciple John: “Behold, your mother!” (Jn 19, 27). "Thus Mary became our mother; the mother of all mankind."